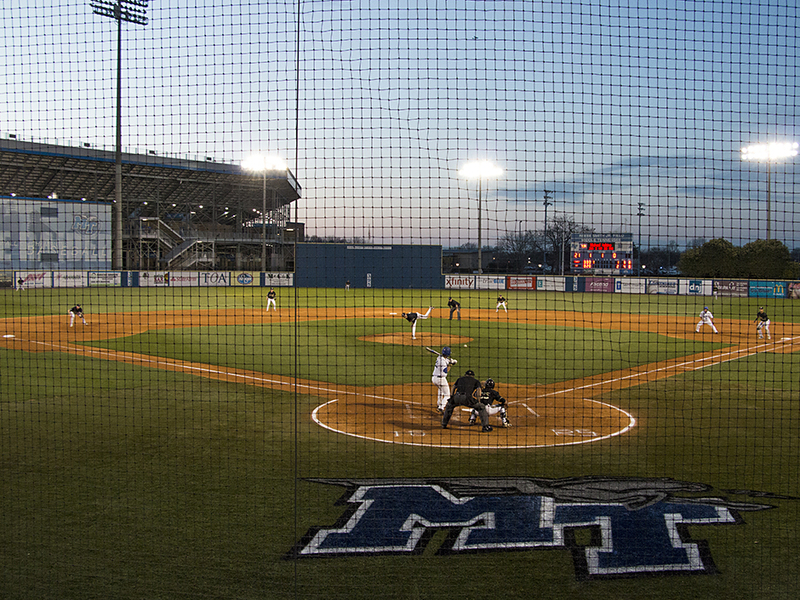 MURFREESBORO – Middle Tennessee fans filled Reese Smith Jr. Field over capacity as their Blue Raiders (13-9) took on No. 2 Vanderbilt (20-5) Tuesday night. 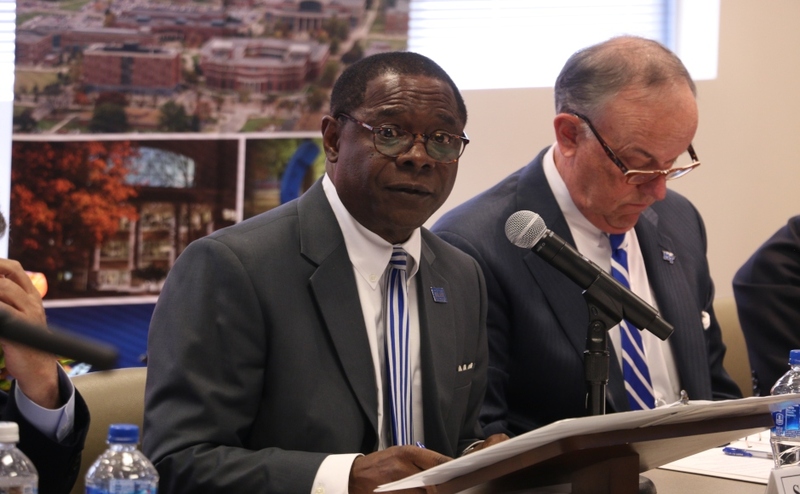 The defending national champion Commodores were greeted by the third largest crowd in MTSU baseball history (2,620), and the largest crowd since the stadium’s $4 million renovation in 2008. In his second start of the spring, left-hander Tyler Troutt pitchied a career high five innings, allowing two runs and five hits. Troutt spotted a .250 opposing batting average and was in line for the win when he left at the end of the fifth. 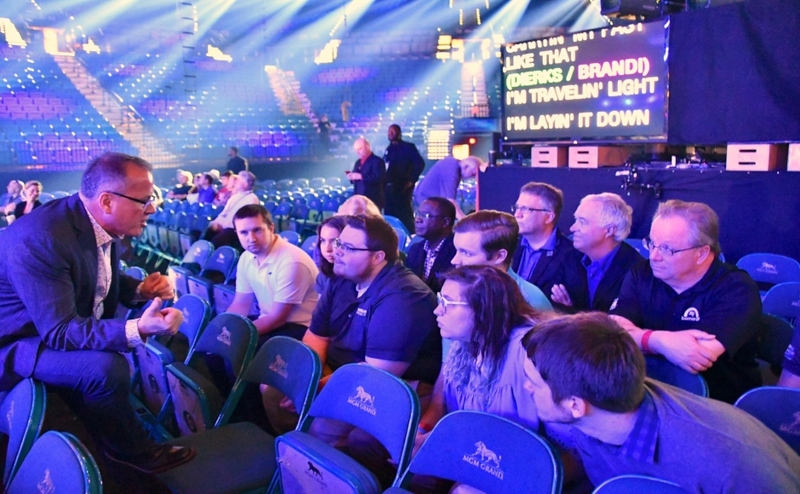 Everything seemed to go MTSU’s way early. 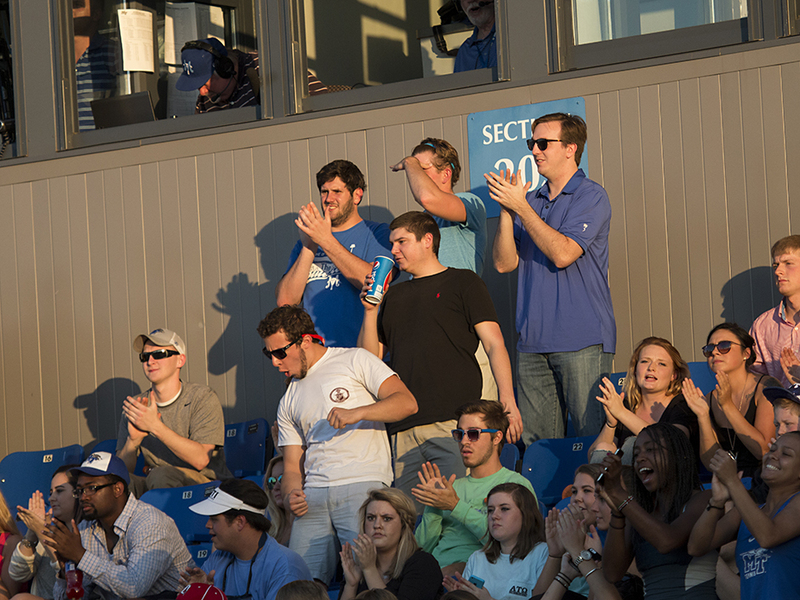 In the bottom of the second, when seniors Jared Allen and Austin Bryant both hit solo homers. It was Allen’s fifth home run of the year as he finished the game 2-for-5 with a RBI and three strikeouts. Bryant’s home run was good for his second of his career as he finished 1-for-4 with a RBI. 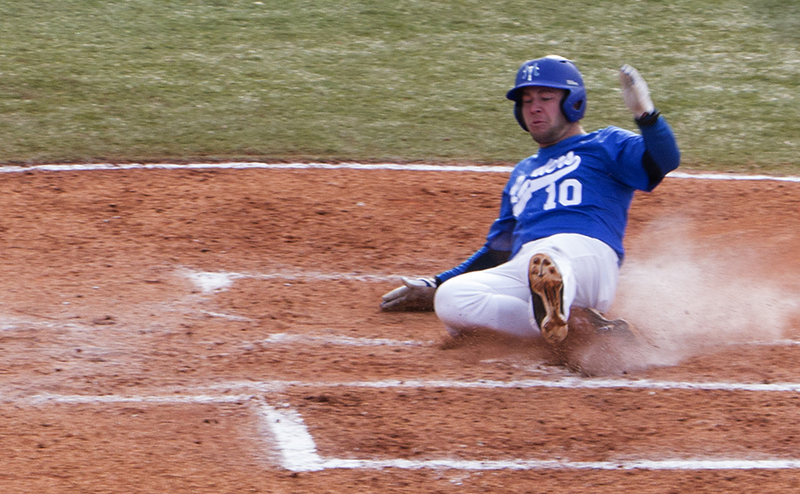 This put MTSU up 2-0 after two frames. 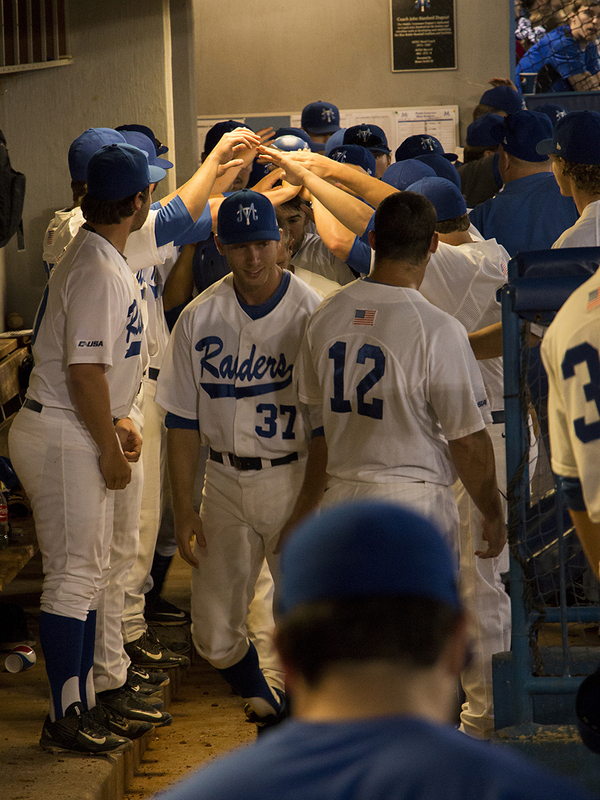 Leading 6-2 after five inning, things started to unravel in the sixth inning for the Blue Raiders, as they decided to bring in freshman reliever Blake Stansberry. 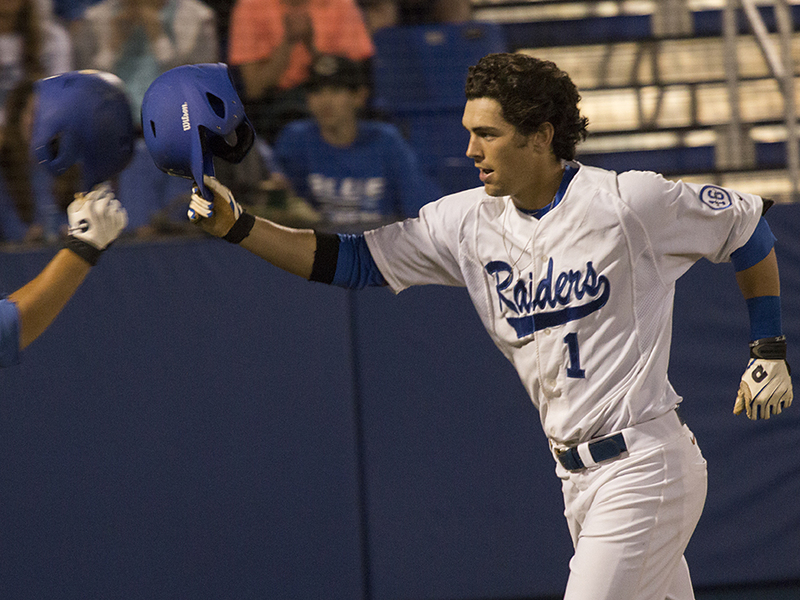 Unfortunately for the Blue Raiders, Stansberry loaded the bases with the three batters he faced, walking the first, hitting the second, and walking the third. Stansberry did not see the end of the inning as he was replaced before an out was recorded in the sixth. All three of those runners ultimately scored as junior Sam Alton finished the inning. The Commodores had cut the gap to 6-5. 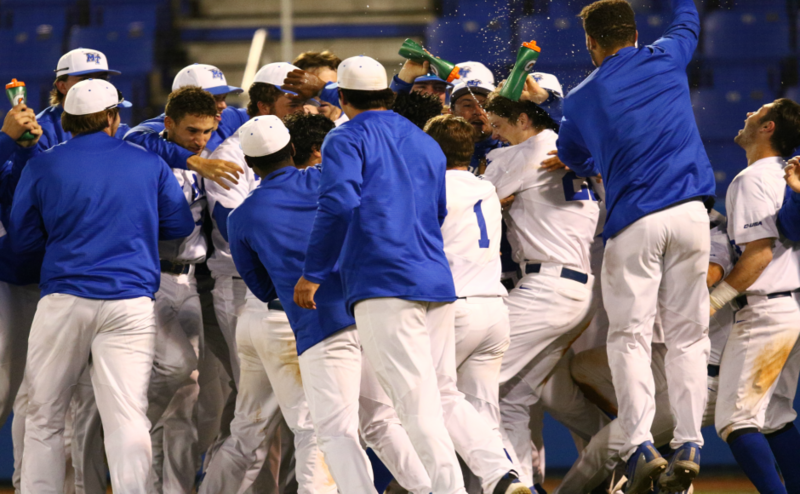 Coach McGuire explained the importance of the sixth inning. 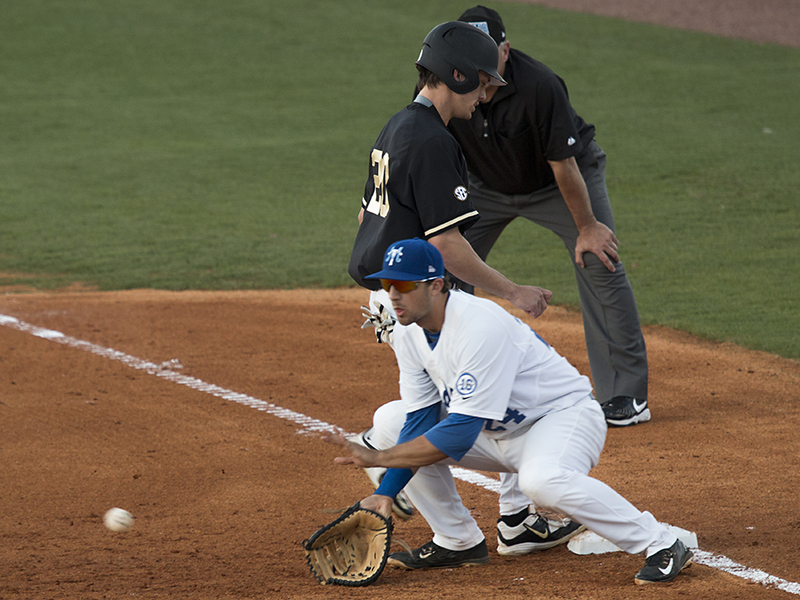 MTSU answered with a run in the bottom of the sixth, pushing its lead to 7-5. 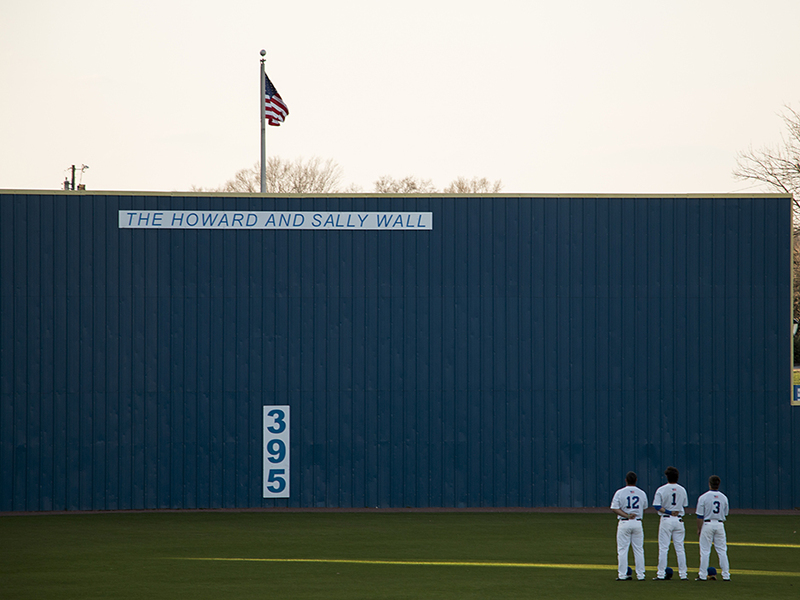 The major blow came in the eight inning. 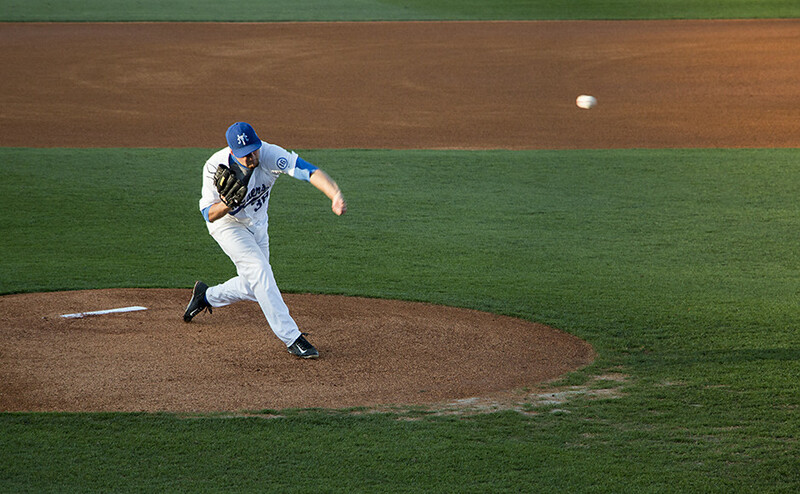 The Blue Raiders used three pitchers in the inning. The three combined to allow seven runs on seven hits, including two homers and two wild pitches. 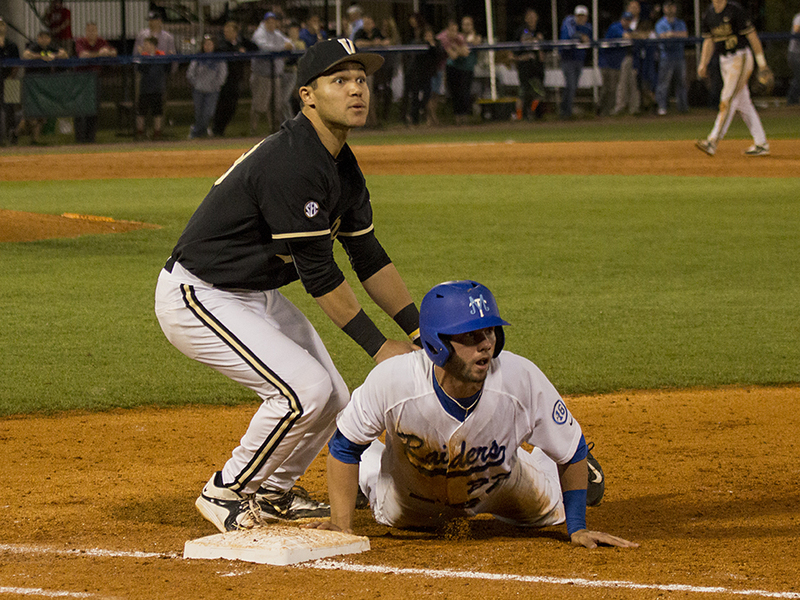 The inning helped Vandy take a commanding 12-7 lead, which was too much for MTSU to recover from. Alton (3-1) was saddled with the loss. He gave up five runs on eight hits in two and one-thirds innings of relief work. 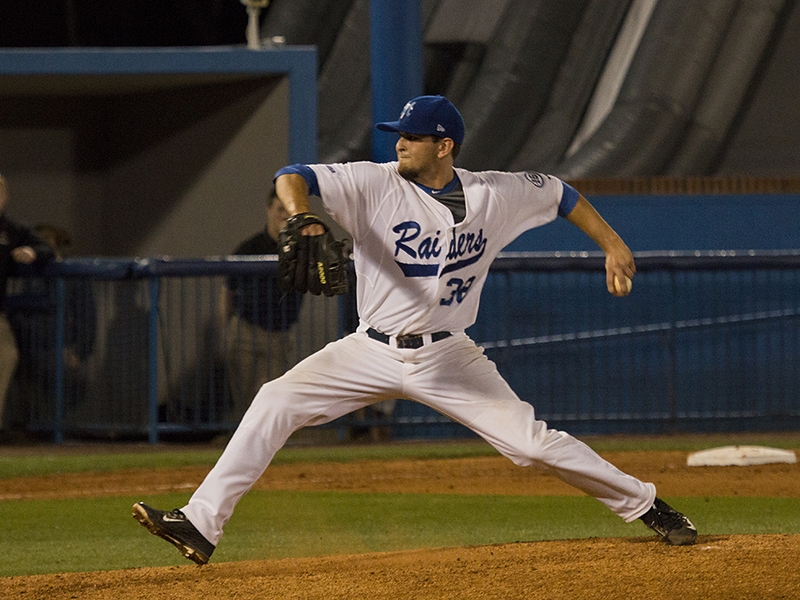 The Blue Raiders used six pitchers on the night. Kyle Wright (2-0) picked up the win for Vandy. He threw three innings of one-run, no-hit baseball. Starter John Kilichowski was chased after three and two-thirds innings, giving up five runs (four earned) on seven hits. The Commodores used four pitchers in the game. 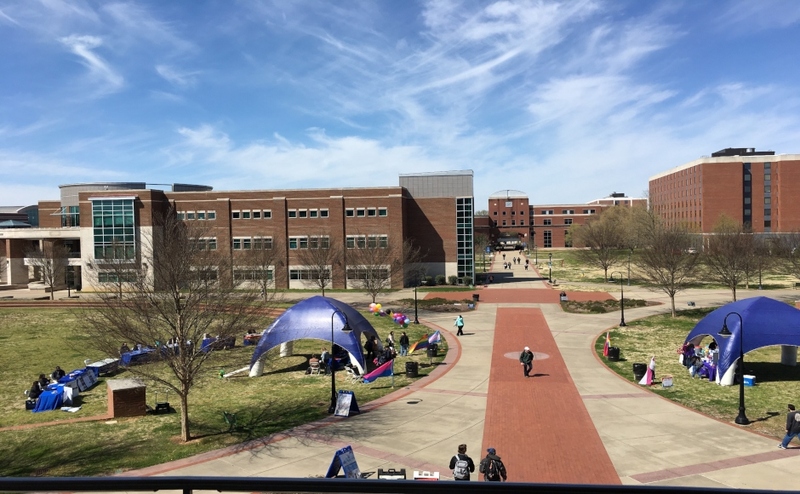 The Blue Raiders will host Lipscomb Wednesday night. First pitch is scheduled for 6 p.m. CST.